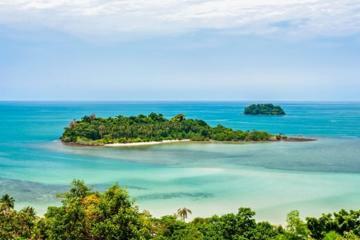 Ko Chang Island is the perfect getaway where the sky is a lot bluer and the air is a lot cleaner. Take a dive in the cool, clear waters of a number of the island's stunning waterfalls, or simply relax on one of the numerous pristine beaches. Ko Chang is the second largest island in Thailand and the principal island of a national marine park archipelago of some 52 islands scattered around these waters. The island measures some 30 kilometres (18 miles) from its northernmost point to its southernmost tip and some 8 kilometres or 5 miles at its widest. Some of the many characteristics are the exceptionally beautiful white sandy beaches and the lush vegetation of the island's centrally located jungle-clad interior. The highest peak at Khao Salak Pet reaches over 700 metres above the sea level. It was only after 2001 that large scale government sponsored development began pouring in as more and more tourists soon discovered an alternative escape route from the most popular islands of Phuket and Koh Samui. Koh Chang, is an island where the weather is not too hot or too cold since its affected by both Northeast Monsoon and Southwest Monsoon. How about spending 3 days and 2 nights on this beautiful island. To find our more about this amazing vacation, please see details above. Prior to this period, Ko Chang was little more than a sleepy fishing domain frequented by a few locals and the odd adventurous tourist who happened to stumble upon the island in order to break away for a more purposeful and peaceful place to rest their weary heads. Things are a little different now that new money keeps pouring into finance better road systems, luxury resorts and an increasing real estate market for those who want to stay a little longer. Tourists are not the only ones taking advantage of all the crazy development and excitement, as ever so many more Thai's are flocking to Ko Chang, making it one of the biggest growing mainstream destinations. The island of Ko Chang is located along the southeastern Gulf of Thailand in the province of Chanthaburi and extremely close to the border of Cambodia. Take a leisurely drive from Bangkok to the small fishing village of Trat from where you'll find easy access to the island. From Trat, you'll need to drive a little further south for about 20 kilometres (12 miles) before reaching the port of Laem Ngop where various ferry and speedboat services will take you directly to the island. Trat is 320 kilometres (200 miles) from Bangkok. A road trip could take you between four and five hours depending on the traffic and how much other rest-stops you might want or need to make along the way. Discover the island of Koh Chang with an exclusive private yacht trip. This large island in the marine national park of the same name was named by its shape, reminiscent of an elephant. Her clear and warm sea, white sand beaches, its protected forests and steep mountains, make it a destination of choice to predict on your holiday agenda. Peninsula One, the most exclusive charter Yacht cruising the Koh Chang Archipelago. 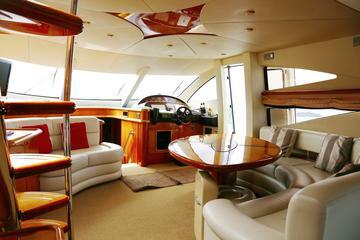 offers day cruising in style for both sightseeing and snorkelling. All the details for this trip can be viewed in the link above. An alternative would be to sleep over at the seaside resort town of Pattaya before proceeding to Ko Chang. This is a favourable route as this will allow you a more scenic passage along the coast as opposed to the drive inland from Bangkok to Chon Buri and then on through Chanthaburi before reaching Trat. 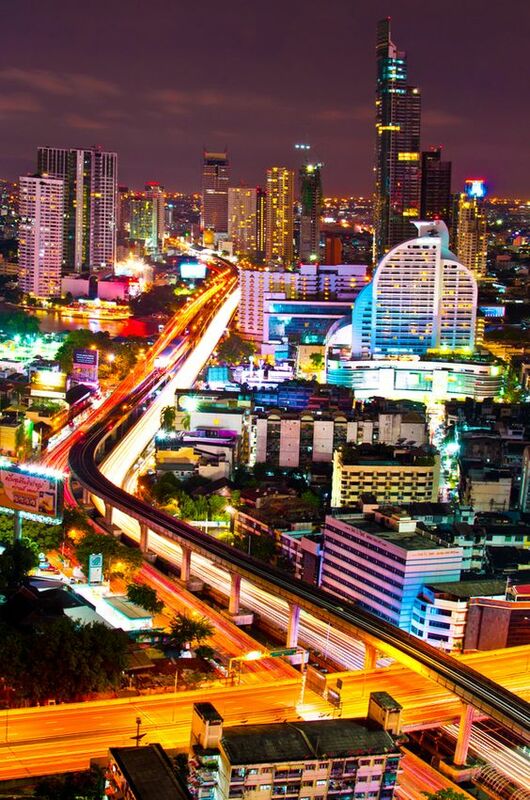 Although the drive from Bangkok to Pattaya is only 100 kilometres or 60 miles, it will take at least 2 hours to arrive due to the heavy traffic out of the greater city area of the capital. 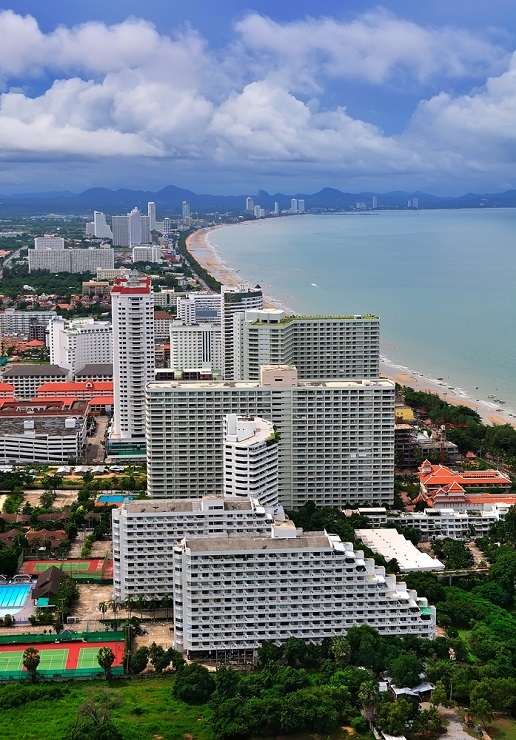 Pattaya is approximately one-third of the total distance. There is considerably less traffic as you exit Pattaya. I have done this trip myself by road as there is far more to see and experience than with air transport. You could, of course, choose to fly directly from Suvarnabhumi Airport to the airport at Trat. The alternative would be to use the regular bus service from Bangkok. Several new luxury beachfront resorts have been built recently to encourage tourism to the island which was once a hideaway for mainly Thai's. This sparsely populated island makes it the ultimate getaway destination. The western shores of the island are the right spot to be as it is here where you'll discover some of the finest and pristine beaches on the entire island. Hat Sai Khao or its English name, White Sand Beach is the most popular destination on the island attracting more and more tourists every year than any of its closest rivals. Situated on the very northwestern point, Hat Sai Khao is by far the longest shoreline at over two and a half kilometres in length. Apart from its super wide white sandy beach and its ample shade from a fringe of casuarinas and palm trees, it also sports an impressive hilly backdrop of lush forested vegetation. Dozens of luxurious hotels and resorts, scores of shops and stalls as well as bars and restaurants, line the coastline between road and sea. Hat Khlong Phrae is a stunning long stretch of sloping shoreline where all good things are possible for total relaxation. The northern end of the beach connects with Laem Chaichet, a rather splendid scenic rocky outcrop and popular for sunset spotting due to its natural surroundings. Not the best place for swimming, though. But the southern end of the beach near Hat Kai Bae offers every kind of water sports from snorkelling, kayaking, fishing and swimming. Hat Kai Bae is also a pretty and popular beach destination situated not far from Hat Khlong Phrao. During high season it can get congested. Hat Tha Nam or Lonely Beach as is its other known name is one of the smaller beaches on the western shore. Due to fairly inexpensive lodgings in the form of bungalows and beach huts, the area is frequently overrun by mostly backpacking tourists who love to revel in the already established party scene. Ao Bai Lan is the beach of choice should you be wanting to spend some quiet time. This very laid-back beach is situated a little further south of Hat Tha Nam. It may not always be easy to tell you exactly when is the best time to visit the island of Ko Chang but I shall pass on my thoughts and the rest I shall leave up to you to decide. During the peak season between November and March, the island can get pretty much congested and it would be advisable to book accommodation well in advance. Beach lodgings tend to fill up very quickly. Although prices for accommodation and restaurants are a hell of a lot cheaper from May through to October, the island is known for its fierce storms and rough seas that tend to lash the shores and beach huts making it impossible for any water sports or safe swimming. The upside is that you won't be bumping into any of your neighbours allowing you some quality time to relax and reflect. 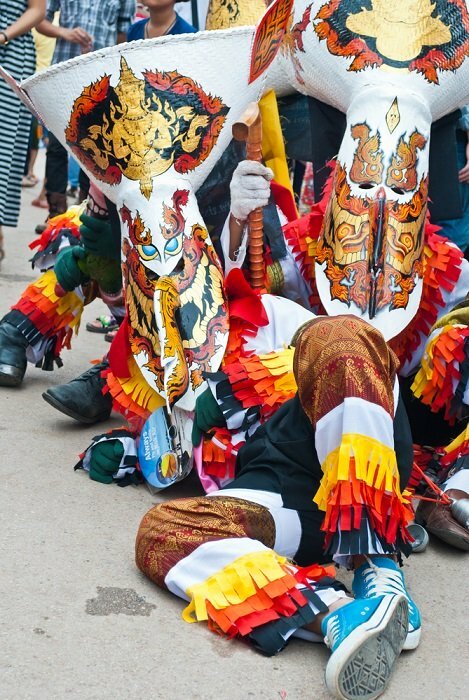 It's important to note that just this southeastern area of Thailand was probably one of the least visited tourist destinations, but it is now slowly becoming extremely popular. The next time you are in the country, have time to spare and want to try something different, then perhaps consider a special trip in this relatively new area of discovery.